Collaborating with prime partner Deloitte as part of the USAID/Bosnia Growth Oriented Local Development (GOLD), SSG Advisors is spearheading the development of innovative public-private partnerships that will help local authorities and private sector representatives in BiH to work together to achieve a common goal. Assisting municipalities to: gain/improve capacity to design, finance and implement Local Economic Development projects; improve their financial management capacity; develop and implement Public-Private transactions and to enhance labor force skills to match private sector needs will lead to new investments, increase in sales and exports and increase in employment opportunities. Promotes new direct investment and supports competitive supply chains that will create new jobs. To create jobs for youth, the project supports entrepreneurship and works with the private and public sectors to implement vocational education programs that will train youth in skills suitable to the local economy. Deloitte Touche Tohmatsu LLC is one of the entities of the Japan member firm group of Deloitte Touche Tohmatsu Limited (DTTL), a UK private company limited by guarantee. 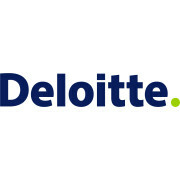 Deloitte Touche Tohmatsu LLC is among the nation's leading professional services firms and provides audit, consulting, enterprise risk services, IPO support services, and financial advisory services. These services are delivered to many clients including multi-national enterprises and major Japanese business entities through over 5,700 professionals including about 3,200 Certified Public Accountants in nearly 40 cities of Japan.